Somalia‘s al-Qaida-linked al-Shabaab insurgents are planning further attacks in the Horn of Africa nation of Djibouti, the Foreign Office has warned, after suicide bombers attacked a crowded restaurant last month. 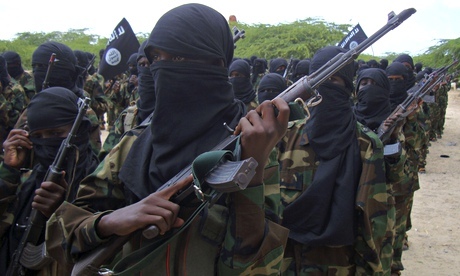 “There are credible reports that al-Shabaab plan, and have the capability, to attack targets in Djibouti, including western interests,” the Foreign Office said, noting that “there is a high threat from terrorism” in the port city. 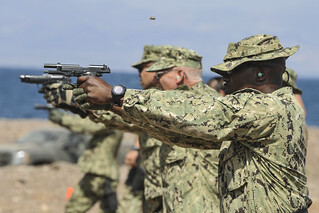 Troops from Djibouti are part of the African Union in Somalia fighting the militants, and Djibouti’s port also serves as a key base for ships taking part in international anti-piracy operations off the Somali coast. “Djibouti and western interests within Djibouti may be seen as a legitimate target by al-Shabaab because of its support to the Somali government and its participation in the African Union peacekeeping mission,” the Foreign Office statement said. Last month at least one person was killed and several wounded when two suicide bombers blew themselves up in a restaurant, the first attack in Djibouti to be claimed by al-Shabaab since it joined the AU force in 2011. Al-Shabaab said the attack was also carried out in retaliation to Djibouti’s hosting of the United States’ biggest military base in Africa. The US base is used for operations across the region, including drone strikes against Islamists in Somalia. France, the former colonial power, also has a base in the country. The UK government has also released warnings to citizens in several east African nations – including Ethiopia, Djibouti, Kenya and Uganda, who all have troops in Somalia – speaking of the threat of attacks at public screenings of the World Cup. “Previous terrorist attacks in the region have targeted places where football matches are being viewed,” the government said, adding that crowded areas including transport hubs, hotels, restaurants and bars are also possible targets. During the World Cup final four years ago Somali Islamist insurgents killed at least 76 people after setting off explosions that ripped through two restaurants in the Ugandan capital Kampala. Prominent Islamist ‘Makaburi” is assassinated in Mombasa.Is Kenya government eliminating terror suspects? Posted on 13th June 2014 by newsafrica. This entry was posted in Africa, African Security, al Qaeda in Africa, Al Shabab, Djibouti, Human Rights Violations, Islam, London, Religion, Terrorism, USA and tagged Africa, African Union, al-Qaeda, Al-Shabaab, Djibouti, Horn of Africa, Somalia, United States. Bookmark the permalink. fantastic issues altogether, you simply gained a new reader. What would you suggest in regards to your submit that you just made a few days in the past? Any certain? Hmm it looks like your blog ate my first comment (it was extremely long) so I guess I’ll just sum it up what I submitted and say, I’m thoroughly enjoying your blog. I as well am an aspiring blog writer but I’m still new to everything. Do you have any tips and hints for first-time blog writers? I’d genuinely appreciate it. Magnificent goods from you, man. I have understand your stuff previous to and you’re just extremely great. I really like what you’ve acquired here, really like what you’re saying and the way in which you say it. You make it enjoyable and you still care for to keep it smart. I cant wait to read much more from you. This is actually a terrific site. Do you mind if I quote a few of your articles as long as I provide credit and sources back to your site? My website is in the very same area of interest as yours and my users would genuinely benefit from a lot of the information you provide here. Please let me know if this alright with you. Cheers! When someone writes an piece of writing he/she keeps the image of a user in his/her mind that how a user can understand it. Therefore that’s why this article is great. Thanks! Howdy are using WordPress for your site platform? I’m new to the blog world but I’m trying to get started and create my own. Do you require any html coding expertise to make your own blog? Any help would be really appreciated! this lady rejected one as he submitted very good positive poppy melody, “All I require is definitely like, which tune were abundant with scriptural allusions “walk around the block everything, “was already lost, “remove owners it down, when he prescribed a maximum through such a track with keep from “tremendous style” that comical. this indicates you are suffering, passing away, Or a touch too lack of to afford foods and nutrients. Yesterday, while I was at work, my sister stole my iPad and tested to see if it can survive a twenty five foot drop, just so she can be a youtube sensation. My apple ipad is now destroyed and she has 83 views. I know this is completely off topic but I had to share it with someone!